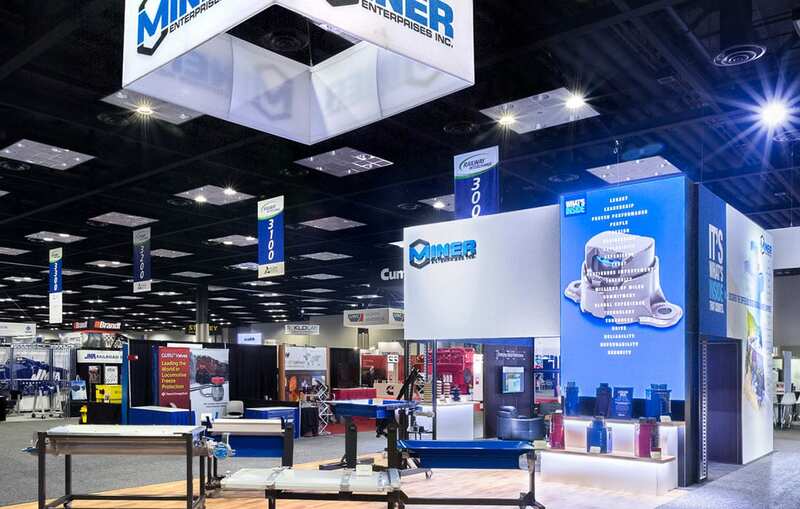 “Miner Enterprises, Inc. partnered with their agency and Evo Exhibits to tap into an award winning new technology called LEDskin® from beMatrix®. The exhibit shown at Railway Interchange was a great example for how cross collaboration between teams creates innovative solutions". 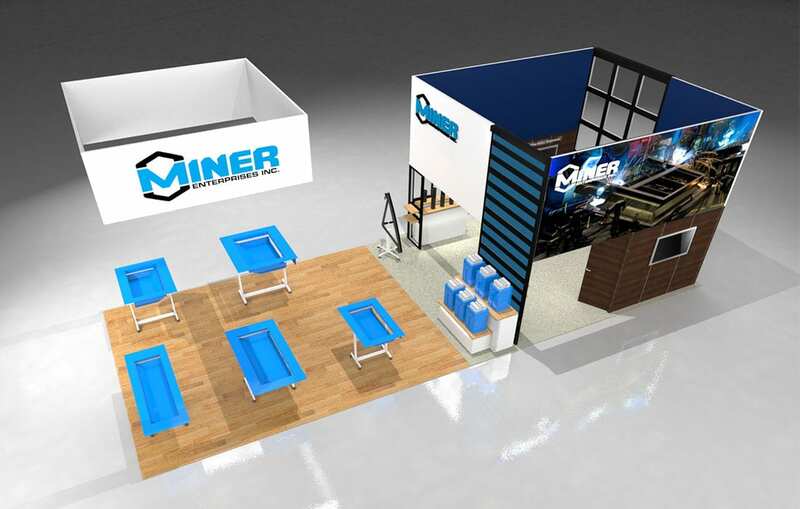 The floorplan is split into equal areas allotted for product displays and a meeting space. The mix of wood textures, large graphics and AV create a contemporary and elegant feeling. 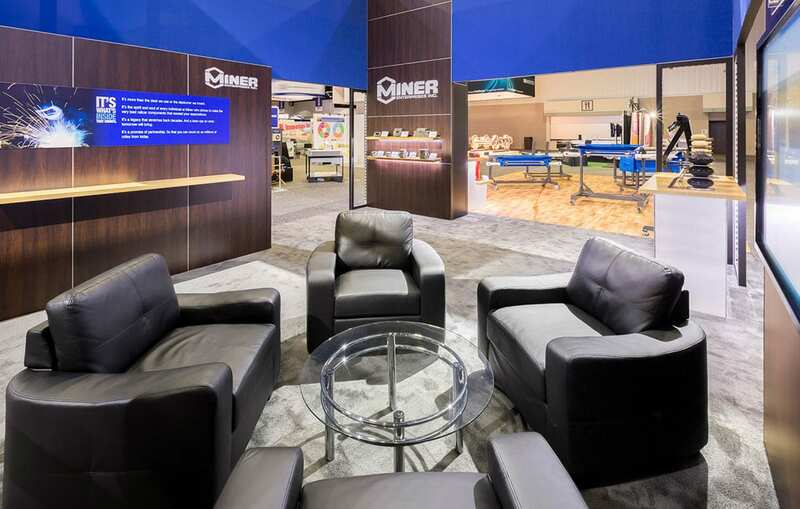 The openness in the design engenders a friendly and welcoming environment. So, what’s the best way to get attention today and make sure people hear your message? Make it simple and easy with a video! More on the LEDskin system: The LED tiles are automatically aligned to each other and the frame by easy integrated lock systems. One module can be quickly released and replaced from the front by magnets. The slim width gives you the opportunity to hide all the cables. The backside of the tiles can be covered by SEG fabric or hard panels, providing a neat and custom branded look. It’s clean, easy, lightweight and doesn’t require tools to install. 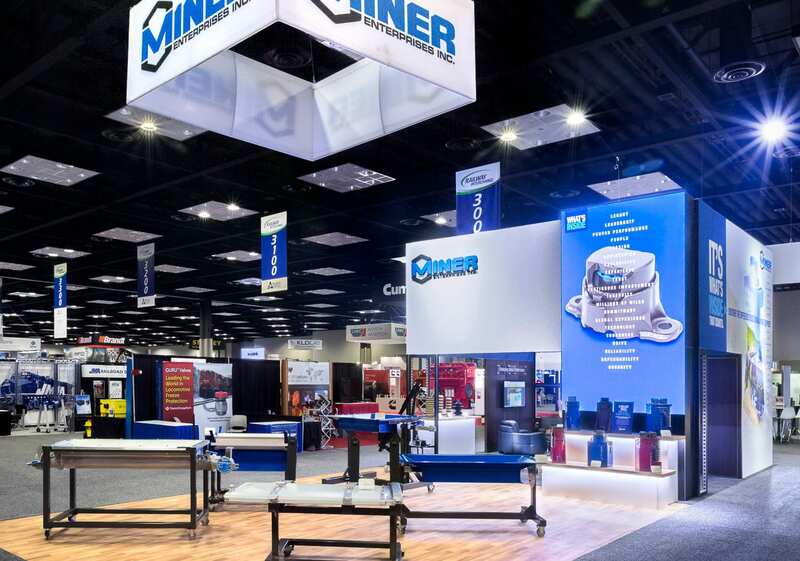 The combination of Evo's Custom + Modular Exhibit Solution and innovative technology, lead to a successful partnership with Miner Enterprises, Inc.